Like great food, it is our passion. 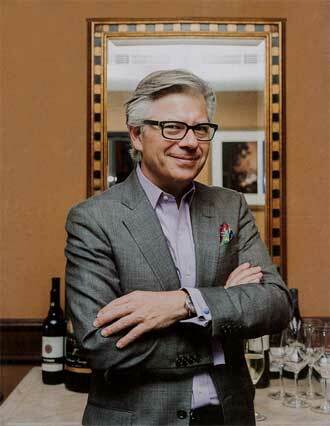 Many of our guests comment of how the warmth and friendliness of Barberian's recalls an earlier era. This impression is complimented by the antiques, paintings and artifacts that we proudly display throughout our restaurant. The Barberian family has been collecting Canadiana for over 50 years. This respect for history being forefront in our minds, every effort has been made to retain the character of the original building Harry Barberian took in hand back in 1959. 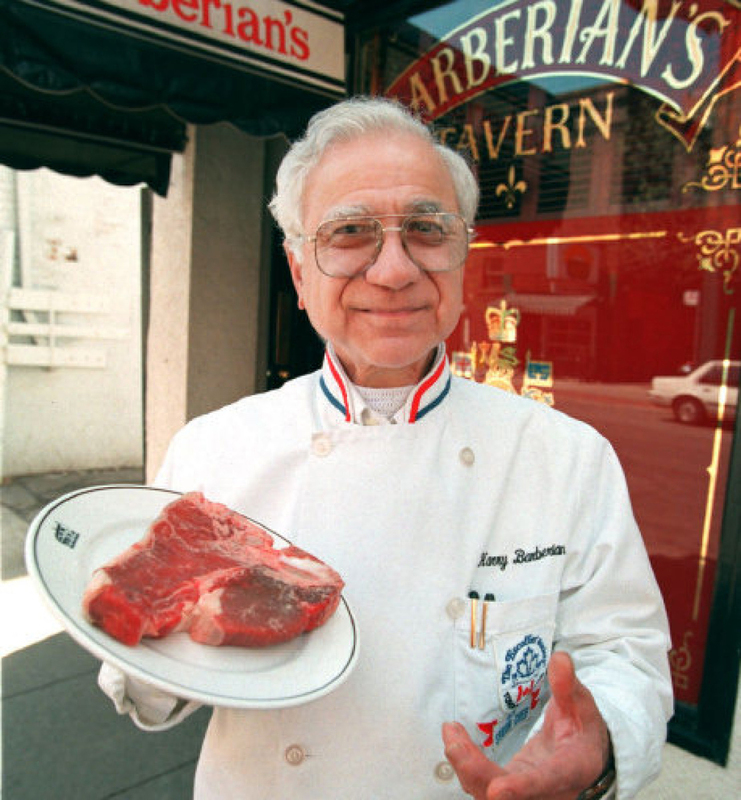 That year, Harry Barberian saw a chance to showcase his love for a great steak in his own restaurant, sharing his dedication to quality food with the city of Toronto. As his clientele grew, so did his restaurant. What is now our celebrated bar, featuring hundreds of fine liqueurs, scotches and ports was once the grill over which Harry reigned. Dancing with his steaks, regaling his customers with his stories and endless opinions, Harry became a neighborhood and then a citywide favorite. His larger then life personality brought in the diners as much as his food did. In those days a rib steak cost five dollars and there was no liquor, but the diners kept coming. In 1969 an addition was made that moved Harry's beloved grill to the back of the building and added seats for diners in a new front dining room. In 2006 another dining room was added, as well as a purpose-built, two-story subterranean wine cellar that houses over 30,000 bottles. The original dining rooms and the 1969 addition display classic Canadiana and tell the early history of our nation through sculpture, paintings and material history. A bust of explorer Samuel de Champlain (1567-1635) honors the man who in 1608 founded the colony that would become Quebec. At the entrance to the restaurant there is a copy of the Globe newspaper dated July 1, 1867; the day Canada became a country. A wooden statuette of Sir John A. MacDonald is one of two known to exist of Canada's first Prime Minister and Father of Confederation. The other was a treasured part of former Prime Minister John G. Diefenbaker's private collection. Barberian's is host to numerous treasures that celebrate the skill and diversity of Canadian artists. There are excellent examples of works by the Group of Seven and their best-known contemporaries. It was the Group of Seven who established the bold, distinct style that characterized a new and truly Canadian landscape art in the first decades of the 20th century. Ontario scenes are predominant in our collection with works by A.Y. Jackson, Lawren Harris, Franz Johnston, A.J. Casson and many others, however all areas of Canada are represented. From "Mile 100", Haines Road, Yukon by Collier to a rare oil depicting "Peggy's Cove" by Nicholas Hornyansky. Among the artifacts and antiques are one of the original clocks made in Canada, a long case by I. Twiss, authentic coal oil lamps, Inuit carvings, pre-Confederation money including coins and currency issued by the Hudson's Bay Company and an extensive collection of firearms. These firearms include rifles used by the Hudson's Bay Company for the fur trade and guns used by both sides during the Riel rebellion and the War of 1812.The newest additions to the Barberian collection are appropriately displayed in the newest dining room. The interests of the second generation of restauranteur Barberians are reflected in the extensive collection of vintage photography by Canadian, American and French photographers. Striking black and white images that celebrate the themes of food and wine are a fitting backdrop to the quiet elegance that is the newest wing of Barberian's. In 1959 Harry Barberian started a restaurant to share his enthusiasm for great food, fine wine, and an ambiance that stimulates. His family, staff and friends still work to keep Harry's vision alive and his collections growing. We hope that you will take the time to enjoy it when you visit us and that we'll see you again and again.